As of 1 January 2018, STENHØJ DK A/S acquires all of the activities in JG Service ApS. The company, which is located just outside Aalborg, will be responsible for STENHØJ DK’s activities in North Jutland in collaboration with our existing service team. “I’m pleased that we have succeeded in reaching an agreement, and with this acquisition we support the overall strategy of the STENHØJ GROUP. In addition, it is particularly important for STENHØJ DK, that we are stronger local partners, and with this initiative we have consolidated our market position and development in Denmark,” says STENHØJ GROUP CEO, Søren Dyøe Madsen. “We want to strengthen our service business in North Jutland, and are pleased that we’ve successfully closed this deal with JG Service, a well-recognised company,” says STENHØJ DK CEO, Søren V. Olesen. ”JG Service has a setup that meets our requirements for level of service, quality and competencies, and we’re very much looking forward to working with our new colleagues,” continues Søren V. Olesen. All of the employees in JG Service will continue to be employed by STENHØJ DK, including former owner John Grøndahl Larsen, who will continue in the role as a technical consultant and provide support for the entire STENHØJ DK service team. Naturally, all of the existing agreements remain unchanged at STENHØJ DK. “I would like to take the opportunity to thank all of my customers for the trust that they have placed in me through the years, and I have complete confidence in selling JG Service’s activities to STENHØJ DK. My technicians and I will continue to be part of the company, and I’m confident that our customers will continue to receive the same high standard of servicing that we have always provided. I hope that customers and partners will continue to support our business in North Jutland,” says John Grøndahl Larsen. STENHØJ DK’s service team is led by Service Manager Lars Troelsen, and consists of 27 technicians, four service coordinators and a technical consultant. STENHØJ DK’s service business has rapidly developed in the last two years and during this period, eight new technicians have joined the team. “Today we service more than 2,000 customers in Denmark, and have more than 10,000 active service contracts,” explains Service Manager Lars Troelsen. “We’re underway with a comprehensive development of our service department, so we can provide our customers with the best service on the market,” he adds. STENHØJ DK’s service technicians are specialists in the assembly, repair and servicing of all types of lifts and compressors. This expertise covers most types of workshop equipment, and today the company carries out servicing on complete equipment packages at workshops at customer locations across the whole country. “The majority of our technicians have very many years of experience in the sector, and are expert at what they do,” says Lars Troelsen. STENHØJ DK was established as an independent company in the STENHØJ GROUP in 2015, under the management of Søren Vestergaard Olesen. Today, STENHØJ DK employs 44 people in sales, service and administration. 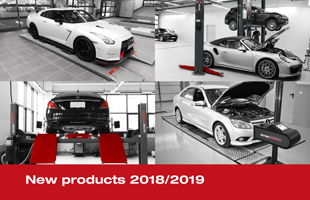 STENHØJ DK distributes a wide range of workshop equipment, including lifts, tyre machines, wheel measurement, break service, compressors, ventilation, oil equipment, and provides workshop interior design. STENHØJ DK distributes recognised brands, such as AUTOPSTENHOJ, Corghi, Bradbury, Dunlop, Beissbarth, Topauto, etc. STENHØJ DK is part of the STENHØJ GROUP, which is a Danish family owned company located in Barrit in Jutland, Denmark. STENHØJ was founded in 1917 and has developed into a leading supplier of products and services, especially for the automotive aftermarket. STENHØJ GROUP consists of 13 subsidiaries in 8 countries, employs more than 600 people and exports to more than 60 countries worldwide.